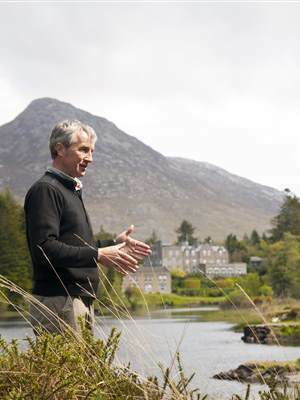 Ballynahinch Castle Hotel & Estate, famed for once being the largest estate in the Great Britain and Ireland, maintains over 30,000 acres of unspoilt, wild woodcock shooting in the Connemara region of the West of Ireland. 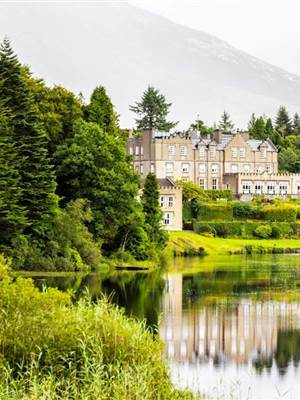 Driven & walked-up woodcock shooting combined with luxurious accommodations in this 250 year-old castle make this a one of Ireland’s best woodcock shoots. The vast Ballynahinch Estate, with large tracts of commercial forestry and native Irish deciduous woodland, make it a most ideal over-wintering habitat for the migrating Eurasian woodcock. Shooting parties first arrive after the full moon in November and shoot until the end of January. The ground on the Estate is only shot twice in any season to ensure minimum disturbance to the woodcock and maximum opportunity for the guns. To ensure woodland is sufficiently covered, larger parties of 6-10 guns make up the majority of shoots at Ballynahinch. There are a limited number of days offered to smaller parties of 3-4 guns where the shooting is predominantly ‘walked-up’. 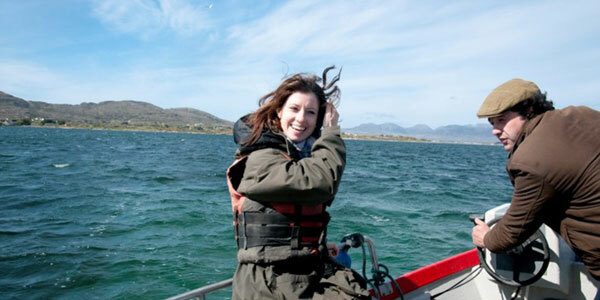 Packages are sold on a full board accommodation and shooting basis including 2-4 days shooting. It is the responsibility of the lead-gun to organise a team of guns for the trip as individual guns are not accepted. Every year an average of 11 woodcock are shot per day for the party, however this can be as high as 20. Given that the quarry is completely wild, sightings range from 30-80 birds. There is no daily bag limit for woodcock in Ireland.Springer spaniels and small Labradors are used to flush woodcock from the thick cover. All dogs and shooting guides are provided by the Estate. It is possible to bring gun dogs from the UK and there are kennels at the hotel, however, it is more difficult to bring dogs from mainland Europe due to quarantine issues. Airport and ferry transfers can be organised from Dublin and Shannon and all of the non-resident firearms licensing is organised by the hotel. European Firearms Licences are required by all travelling guns. For more information on the shoots, please contact our concierge or telephone +353 (95) 31006.